Saturday, June 16, 2018, 1 – 4 p.m.
Members of The Seattle Public Library's Books on Bikes team will be at the Juneteenth Festival as a full-service library. The Seattle Public Library wants to connect with you wherever life takes you. 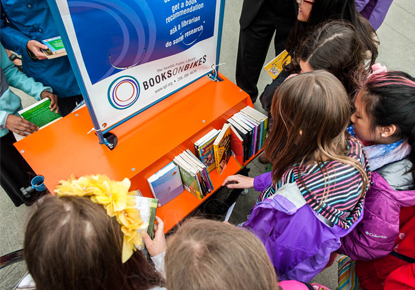 Our Books on Bikes program brings Library resources to you in a park, at a festival or wherever you are!